Staff members from the World Land Trust (WLT) UK office in Halesworth competed in the Bird Race Challenge taking place in East Anglia over the weekend. This year the Bird Race Challenge is fundraising for a World Land Trust project in Bolivia, with partner Asociación Armonía, to conserve the Critically Endangered Blue-throated Macaw. This species’ total wild population is estimated around only 250 birds. Competing with two other teams of four, the WLT team began the race at 3.30am in Norwich. 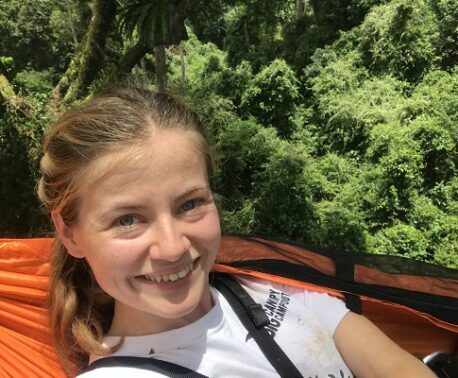 The team was made up of Captain Dan Bradbury, WLT Head of Development, Charlotte Beckham, WLT Conservation Programmes Coordinator, Nina Seale, WLT Writer/Editor, and Scott Guiver, ex-WLT Web Developer. Starting with the haunting call of a Tawny Owl, the team then set out to Weeting for the dawn chorus. A bird only counted towards the total if each member of the team saw or heard the species. After obtaining 46 species by 6am at Weeting, Hockwold, Feltwell and Methwold Hythe, the team set off for Lakenheath Fen. 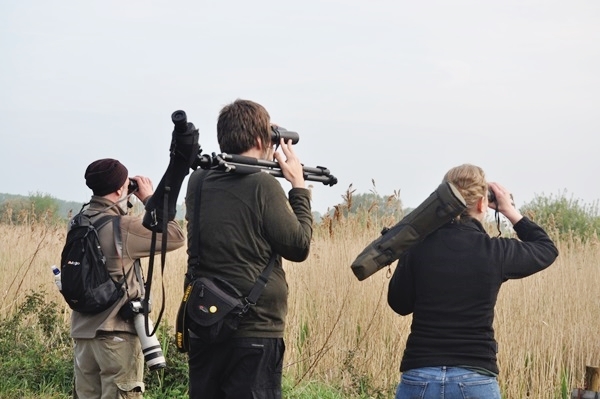 With various stops along the way, including a fruitless trip into the centre of Norwich for the Peregrine Falcons nesting in the cathedral, the team made it to RSPB Minsmere (well-known for hosting the BBC programme Springwatch), where they met their spotter, John Grant. “Once we had the extra eyes of John Grant, who is Environment Editor of the Suffolk newspaper the East Anglian Daily Times, there was suddenly a big leap for our morale as we scored a number of new species – we went from about 90 to 110. He was incredible with the wader and gull species- we definitely would have struggled to identify the Caspian and Yellow-legged Gulls without him,” said Dan. 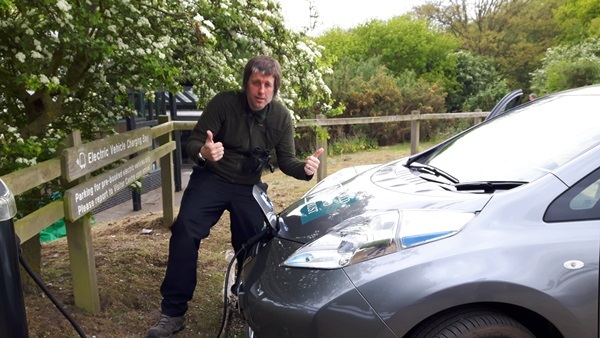 To make their birding mission as eco-friendly as possible, the team travelled from Norwich to Suffolk in a sponsored Nissan Leaf donated for the day by Hammonds Motor Group Nissan. At the end of the day, after the team had visited Westleton Heath to hear the metallic racket of Nightjars, the WLT team met up with two other Bird Race teams, the ‘Norfolk Loons’ and the ‘Bird Race Challenge’ team at the WLT office in Halesworth. They were greeted by WLT founders John and Viv Burton, and original Bird Race member Cliff Waller, where the Bird Race Challenge team was presented with the trophy (a Victorian egg coddler with a Hawaiian Goose egg signed by the late Sir Peter Scott). The winning score was 146, the Norfolk Loons in a close second with 145, and the WLT team came last with a respectable 113. 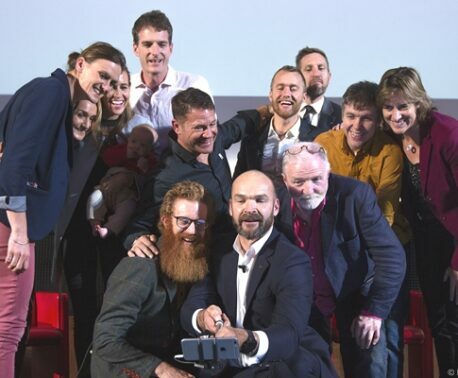 The overall winner counting the teams competing in the Virtual Bird Race Challenge has not been announced yet, and the counts from the WLT partners taking part from all over the world are still being collected. The 24-hour Bird Race Challenge this year was fundraising for Blue-throated Macaw conservation in Bolivia, where WLT’s partner is protecting and restoring habitat for this Critically Endangered species.